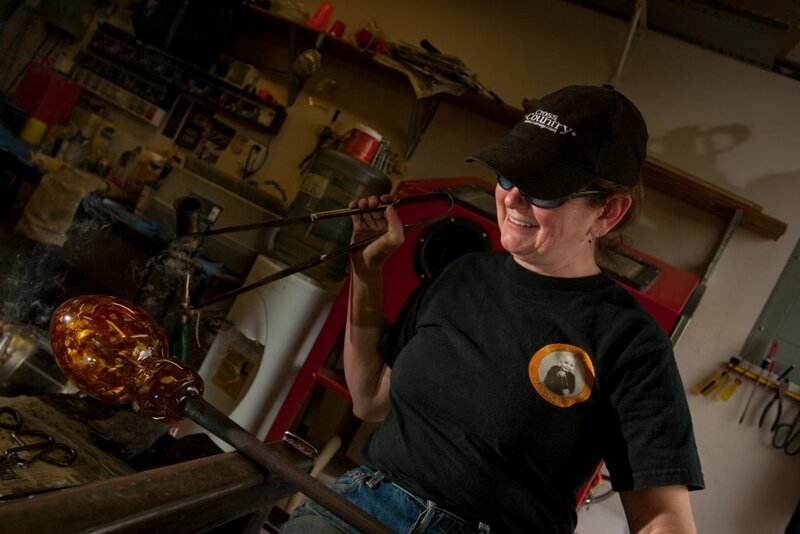 Glass blowing is the art of blowing air into gathers of hot, molten glass. 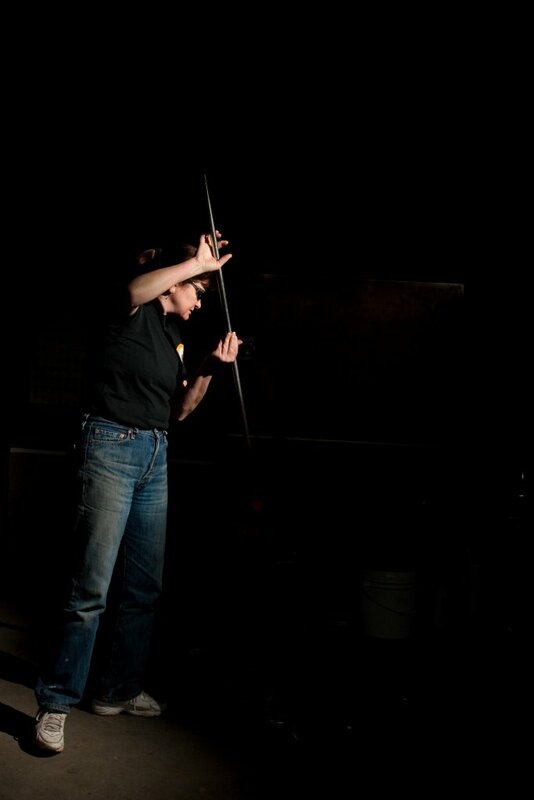 Glass is melted in a crucible at 2200º (F). 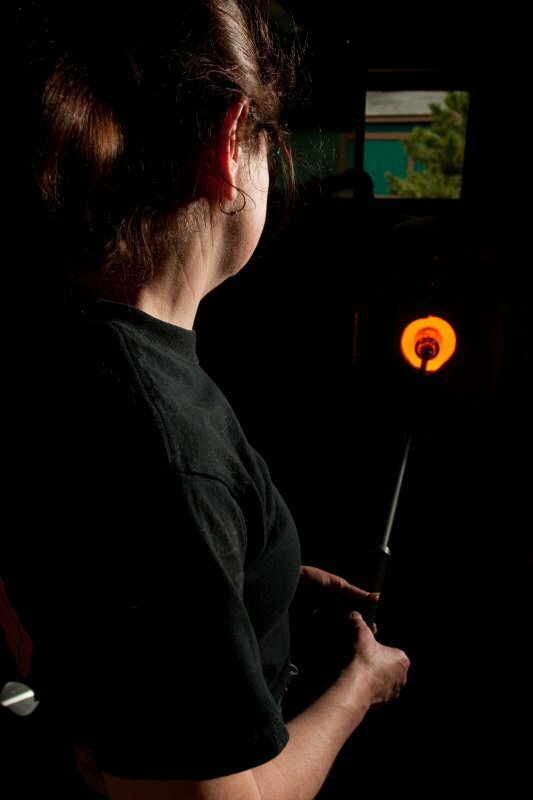 A hollow steel blowpipe is dipped into the crucible to form a gather. 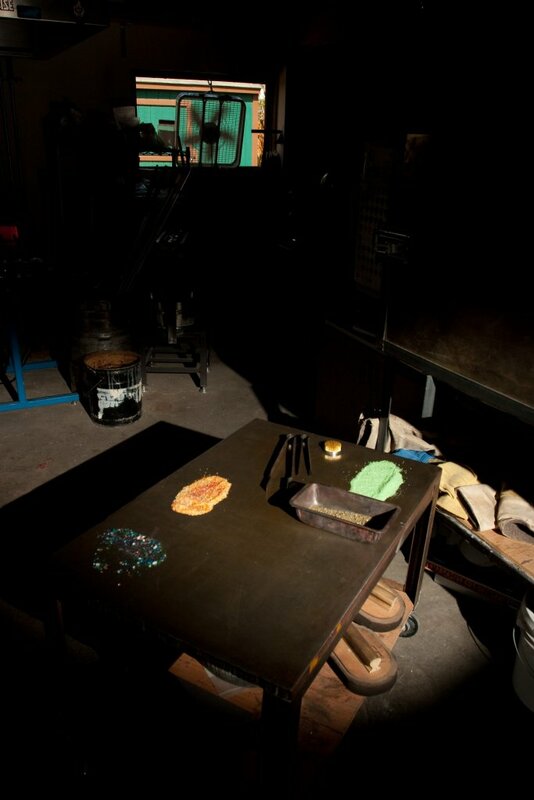 Air is added to the glass and additional layers are gathered as the glass is worked and the shape is formed. 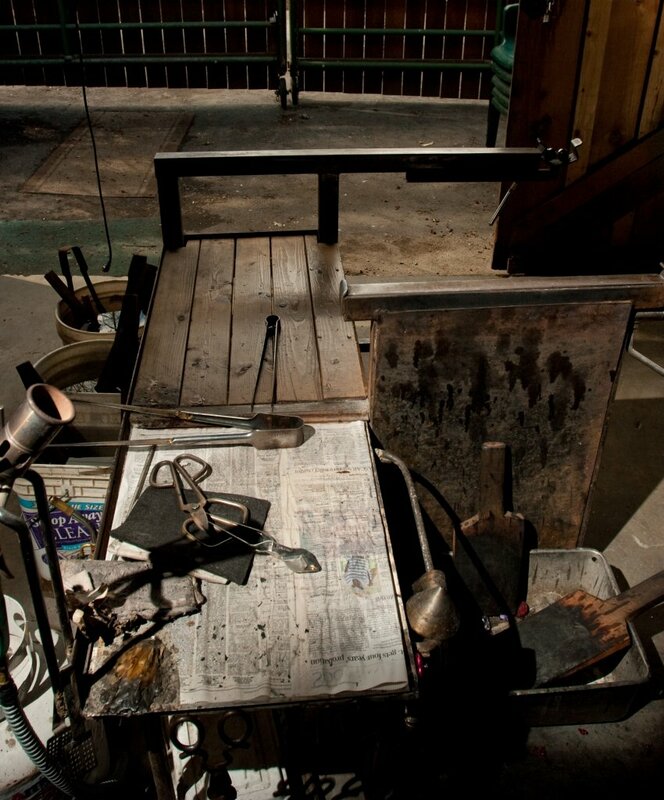 The piece is transferred onto a steel rod called a punty . At this point the final shaping takes place. 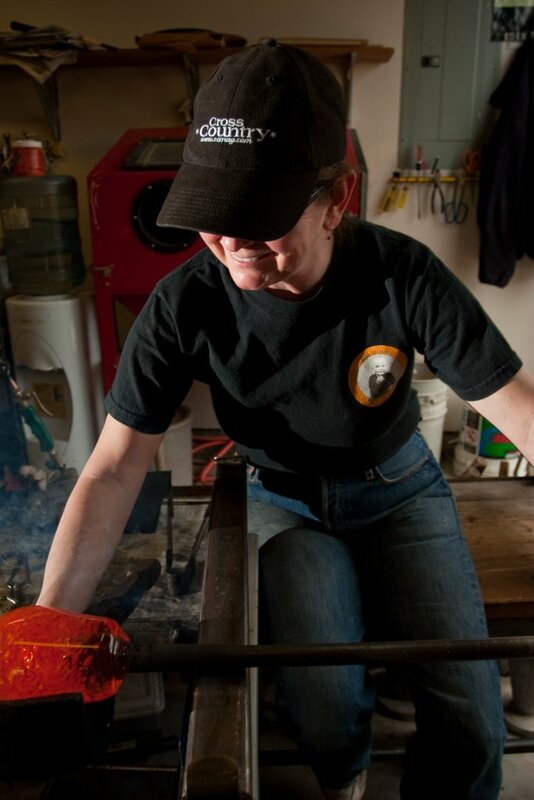 Once completed, the piece is placed into an annealer to slowly cool over the next 24 hours.